Frank Delaney reads from Venetia Kelly's Traveling Show: A Novel. ; Diane Meier reads from The Season of Second Chances. Reporter now based in New York City and Author of the Irish Bestseller, Ireland: A Novel, Published: February 01, 2005. We are calling this Author Event, "It's a Great Time to be Irish!" Driven by his eloquent passion for his country and its spirit, Frank Delaney, the acclaimed author of Ireland and Tipperary, returns once more to his home terrain with a beautifully written, meticulously researched, and expertly paced novel. Shannon is a timeless and unforgettable account of salvation, belief, duty-and the healing power of discovering one's roots. In these pages, faith, commitment, the benign quirks of Irish myth, and the menace of Irish history all coalesce into an epic narrative of one young American's travels to his family's beginning and through a hopeful nation rushing to the future. audience questions and he will autograph copies of his new book purchased from Rainy Day Books, on our website. Frank Delaney reads from Shannon. Frank Delaney reads from Tipperary. Frank Delaney's book Venetia Kelly's Traveling Show was available from LibraryThing Early Reviewers. Frank Delaney's book Tipperary was available from LibraryThing Early Reviewers. 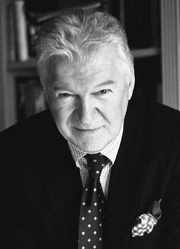 Frank Delaney is currently considered a "single author." If one or more works are by a distinct, homonymous authors, go ahead and split the author. Frank Delaney is composed of 7 names. You can examine and separate out names.